New kitchen working zone in today’s modern kitchen? Is there a new kitchen working zone developing in today’s modern kitchen? Once upon a time the hard and fast rule to design a kitchen was to use the “kitchen working triangle”. This working triangle was key for Kitchen Designers. The design followed the rule of thumb – easy reach from three working zones – fridge – sink – oven. This was most helpful years ago when kitchens were smaller and tended to be separate rooms. Kitchens have evolved to become part of another space within the home such as a dining or living zone. With the evolution of the emerging modern kitchen designs and continual demand for open plan living there is an increasing storage / bench zones needed to be incorporated into working zones. Has the modern kitchen now evolved into four key working zones? The modern consumer looks for ways to utilise storage like never before. With the increase number of appliances and the evolution of every day use appliances such as Thermomix, hiding appliances has become more important. Consumers often comment they can never have enough storage. This appliance cupboard takes care of a lot of storage, all at your fingertips. We all know how much we store in the kitchen – the Christmas platters that only come out once a year. The multitude of vases of all shapes and sizes, water jugs, platters, the list is endless. 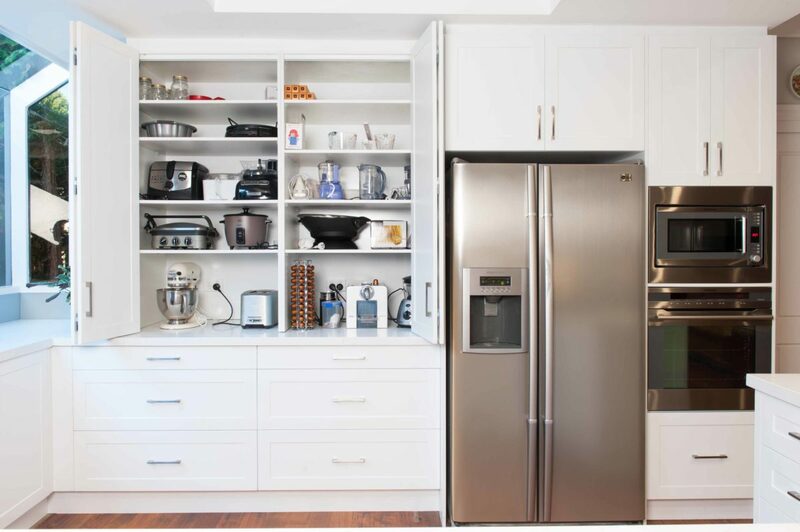 Knowing how to design a kitchen to maximise storage is important for the declutter look and keeping benchtops clear. 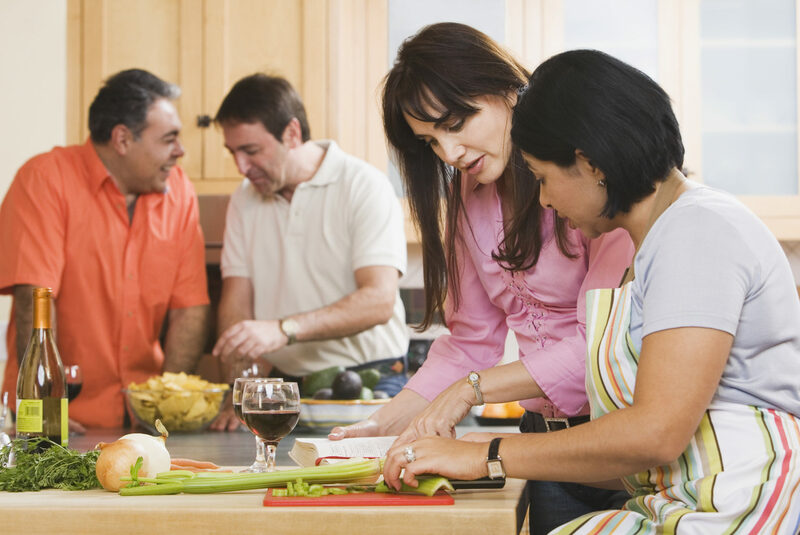 In addition, the modern kitchen is now a busy space where many cooks and family members share the same space. The age of only one cook in the kitchen at any one time is gone and replaced with one person cooking on the stove another preparing at the bench and even a third searching for food in the fridge. Working zones have never been so important to getting the kitchen design right. Freeing up bench space for both food preparation and entertaining is an increasing need for the modern kitchen design. Bench space for entertaining and family dinners is now a must. Lots of bench space is wanted in fact demanded. Not only near the sink when prepping food but also a place for platters of food when the family or guests arrive. The island bench is another popular choice. Often families with their busy lifestyle are eating at island benches while on the run to the next after school commitment. 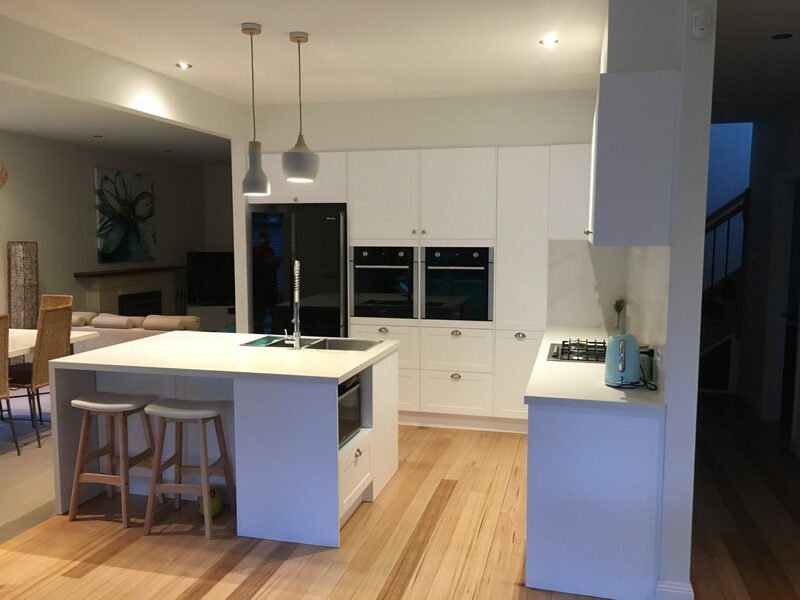 Benchtops and additional storage are now key to designing a great space for your new kitchen. Remember to create a kitchen space that works for you. It is worthwhile considering the importance of all zones when thinking of your kitchen design.